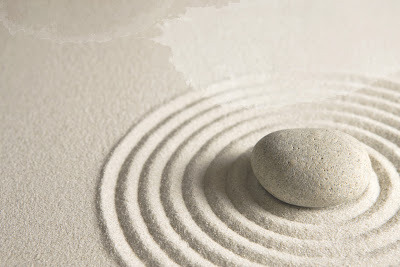 There is a Buddhist Zen parable about the teacher Zengetsu, from the Tang Dynasty (China), who wrote down twelve maxims for his students to reflect upon. Basically one maxim for each month of the year. I have collected them and have broken them down even further, by topic, to get fifteen total. These fifteen Zen maxims cover moral and social etiquette, and serve as an organized list to think about improving oneself--sort of a Ten Commandments, except that unlike the Mosaic Commandments found in the Bible, these Zen maxims actually do deal with morality in a practical way which can be applied to our lives. You might even call them The Zen Commandments. 1. When witnessing the good action of another encourage yourself to follow his example. 2. Hearing the mistaken action of another, advise yourself not to emulate it. 3. Even though alone in a dark room, be as if you were facing a noble guest. 4. Express your feelings, but become no more expressive than your true nature. 5. Poverty is your treasure. Never exchange it for an easy life. 6. A person may appear a fool and yet not be one. He may only be guarding his wisdom carefully. 7. Virtues are the fruit of self-discipline and do not drop from heaven of themselves as does rain or snow. 8. Modesty is the foundation of all virtues. Let your neighbors discover you before you make yourself known to them. 9. A noble heart never forces itself forward. Its words are as rare gems, seldom displayed and of great value. 10. To a sincere student, every day is a fortunate day. Time passes but he never lags behind. Neither glory nor shame can move him. 11. Censure yourself, never another. 12. Do not discuss right and wrong. Some things, though right, were considered wrong for generations. Since the value of righteousness may be recognized after centuries, there is no need to crave an immediate appreciation. 13. Live with cause and leave results to the great law of the universe. 14. Pas each day in peaceful contemplation. 15. Living in the world yet not forming attachments to the dust of the world is the way of a true Zen student.